The Global Parkinson’s Disease Treatment Market to notice positive growth owing to its rising prevalence, and increasing awareness about the diagnosis of Parkinson’s disease at an initial stage. Parkinson’s disease (PD) is a neurodegenerative disorder, that is caused due to the loss of dopamine production in the brain. It leads to progressive deterioration of motor function in the human body affecting the brain, and nerve cells. It can be recognized with the barely noticeable tremor in one hand, but is one of the most significant symptoms that can help the doctors in recognizing Parkinson’s disease at an early stage. Parkinson’s disease is noticeably caused due to various environmental factors, and genetic mutations. In addition, it causes problems such as thinking difficulties, depression, and emotional change, swallowing problems, sleep disorder, constipation, and bladder problems. Parkinson’s disease is the second most common neurodegenerative disorder after Alzheimer’s. The number of people globally suffering from Parkinson’s disease is around 10 million, or it ranges around 41 people per 1,00,000. Men are likely to get affected 1.5 times higher than a woman. Parkinson’s disease, can be recognized initially through decreased movement of arms while walking, stiffness, slowness in performing any task. Moreover, some secondary symptoms include anxiety, depression, and dementia. This disease is found in the individuals with age range of around 60 years, and impairment of the disease varies from person to person. The study shows that the time that primary symptoms are observed about 60 to 80% of dopamine-producing cells are damaged in the brain. This damage to the brain cell is caused due to neurons break down, leading to loss of brain activity, and some signs of Parkinson’s disease. Consistently increasing elder population, increased funding for research and development, and favourable government policies will support the growth of global Parkinson’s disease treatment market. The market is primarily driven by rising prevalence of Parkinson’s disease, due to increased life expectancy across the globe. For instance, the data presented by WHO in 2015, stated the average ‘life expectancy of a person was 70 years and would continue to increase. Additionally, a continuous surge in the investment by the leading players for discovering various treatment options for PD. Geographically, Japan has the highest life expectancy which makes it an effective location. Thus, the leading companies focus has now shifted toward the developing countries. While, increasing number of clinical trials for understanding the pathophysiology of Parkinson’s diseases, and growing R&D funding and investments on healthcare by the governments of developing economies, and unmet needs for effective treatments influence the market growth during the forecast period. Moreover, key trends that have included increasing drug pipeline, rising number of the scope of gene therapy and rising number of people suffering from Parkinson’s diseases the growth of this market. Geographically, the global Parkinson’s disease treatment market is categorized into North America, Europe, Asia Pacific, Latin America, and Middle East & Africa. Rising awareness about Parkinson disease, increasing geriatric population and continuous government efforts to support gene therapy to lead the growth of this market in Europe. 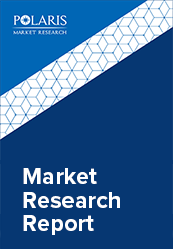 Europe region is expected to dominate the global Parkinson’s disease treatment market over the forecast period. Europe holds major share owning to the continuous technological developments by the increasing R&D investments. While, North America is considered to hold the second largest market share among regions, but Asia Pacific is expected to grow rapidly during the forecast period. Growing patient count along with support from governments in terms of expenditure for developing healthcare infrastructure are the major factors that anticipate to govern the growth of Parkinson’s disease treatment in Asia Pacific region during upcoming years.